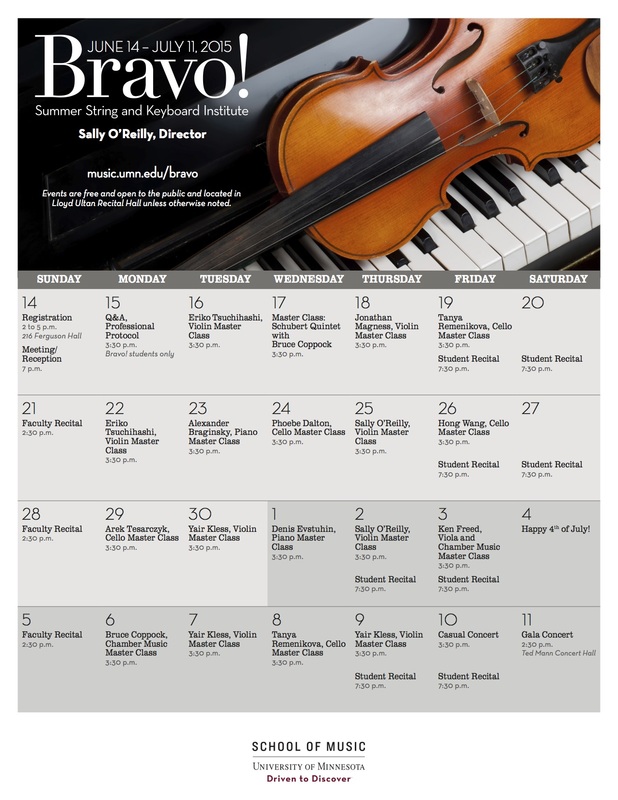 Here is the events calendar for Bravo! 2015. Come hear wonderful music all month, free and open to the public.